In the past, previous studies have shown that infusing ketones into the bloodstream can reduce blood sugar levels.But in new study researchers at the University of British Columbia and the University of Oxford have demonstrated that a single drink of ketone ester enables better control of blood sugar by reducing spikes in sugar levels.The study has been published in the Journal of Physiology. Type 2 diabetes and obesity have reached epidemic proportions in the past few decades. 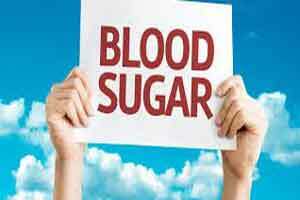 These conditions are associated with high blood sugar, which can damage the vessels that supply blood to vital organs and can also increase the risk of heart disease and stroke.For the first time it has been shown that drinking a ketone supplement can lower blood sugar levels, presenting a potential future method to control spikes in blood sugar experienced by diabetics. Twenty healthy individuals participated in the study and on two occasions consumed the ketone monoester supplement or a placebo after a 10-hour fast. Thirty minutes later they consumed a drink containing 75 grams of sugar (i.e., a standard oral glucose tolerance test). Blood samples were collected every 15-30 minutes throughout the entire 2.5 hours protocol for analyses of glucose, lipids, and hormones. Compared to the placebo, the blood sugar spike was reduced on the day that the individuals had consumed the ketone drink. It should be noted that this study was conducted with healthy young individuals, to reduce the confounding influence of insulin resistance, beta-cell dysfunction, and medications, so more research is required to know whether it will apply to people with prediabetes, type 2 diabetes and obesity. The physiological mechanisms that underpin the improved blood sugar control also need to be understood. “Our study was done in healthy young participants but if the same responses were seen in people with, or at risk for, type 2 diabetes then it is possible that a ketone monoester supplement could be used to lower glucose levels and improve metabolic health. We are working on these studies at the moment.